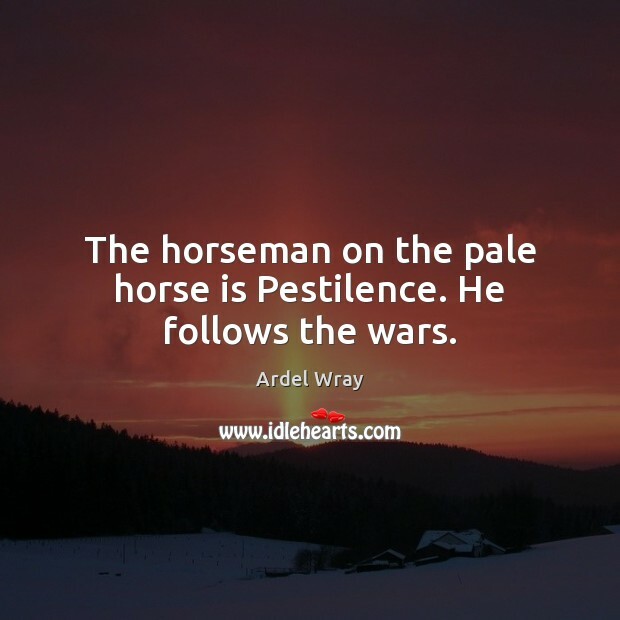 Enjoy the best inspirational, motivational, positive, funny and famous quotes by Ardel Wray. Use words and picture quotations to push forward and inspire you keep going in life! The horseman on the pale horse is Pestilence. He follows the wars. 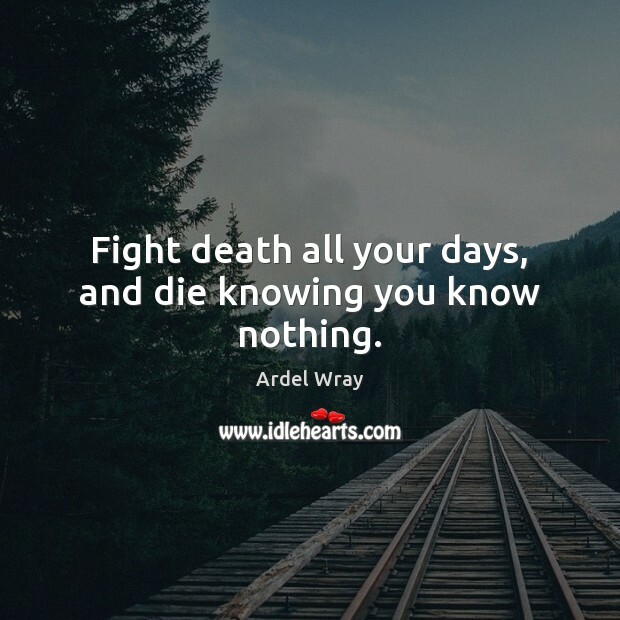 Fight death all your days, and die knowing you know nothing. I've learned one thing about life. We're a good deal like that ball, dancing on the fountain. 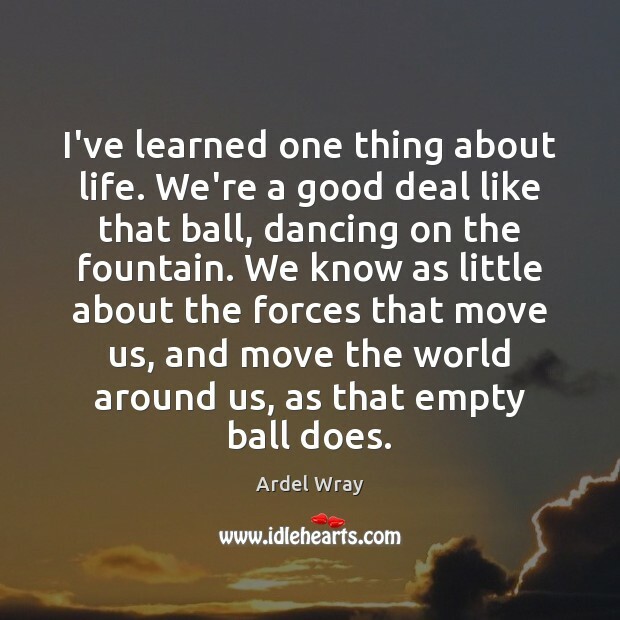 We know as little about the forces that move us, and move the world around us, as that empty ball does. Laws can be wrong and laws can be cruel. 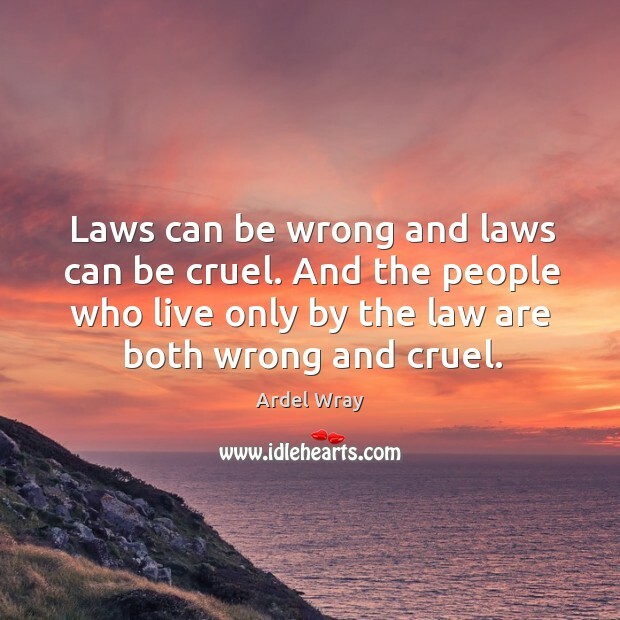 And the people who live only by the law are both wrong and cruel.